Game - Who can get the most visitors to Place Value Town? 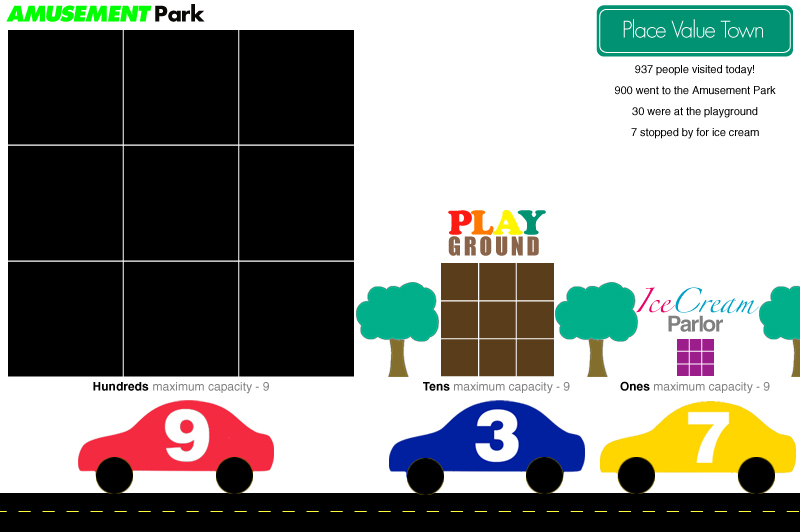 Create a town out of construction paper or blocks with three recreational spots to represent each place value. Use matchbox cars or paper cars for the numbers (0-9). Kids roll a die. Then, park the number car next to the building. The winner is the player that had the most visitors!